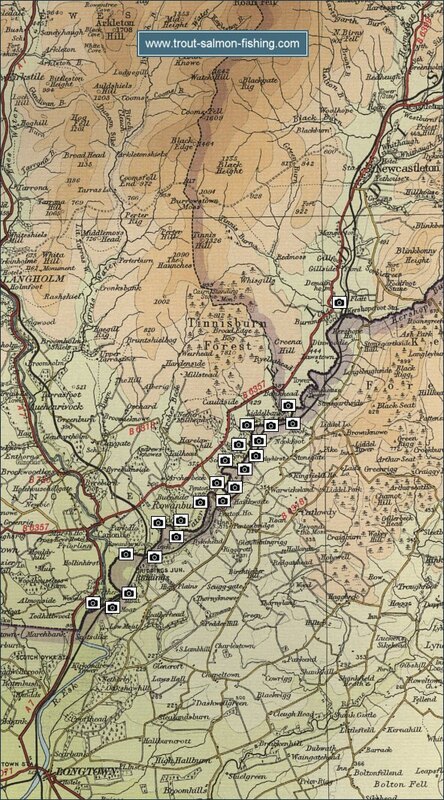 Below is a map of the River Liddle, showing links to photographs of many of the fishing pools on the lower river, part of the Esk and Liddle Fishery. 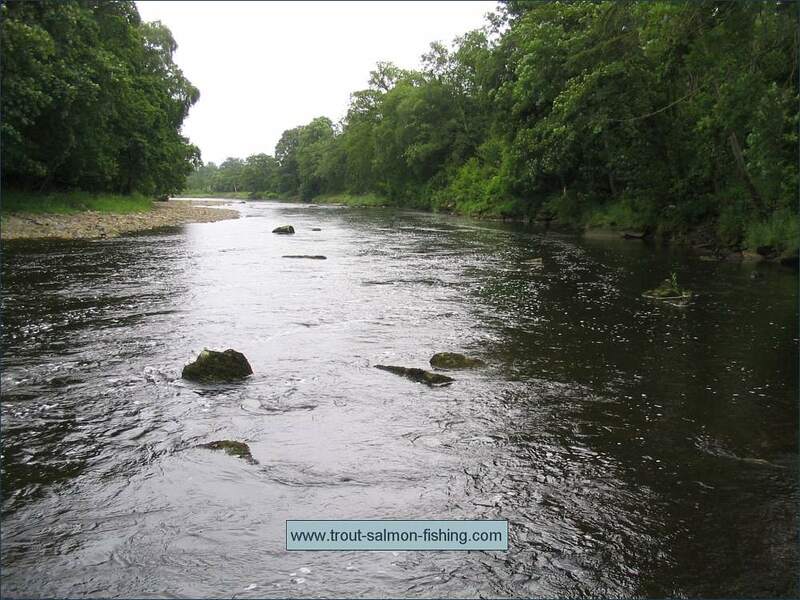 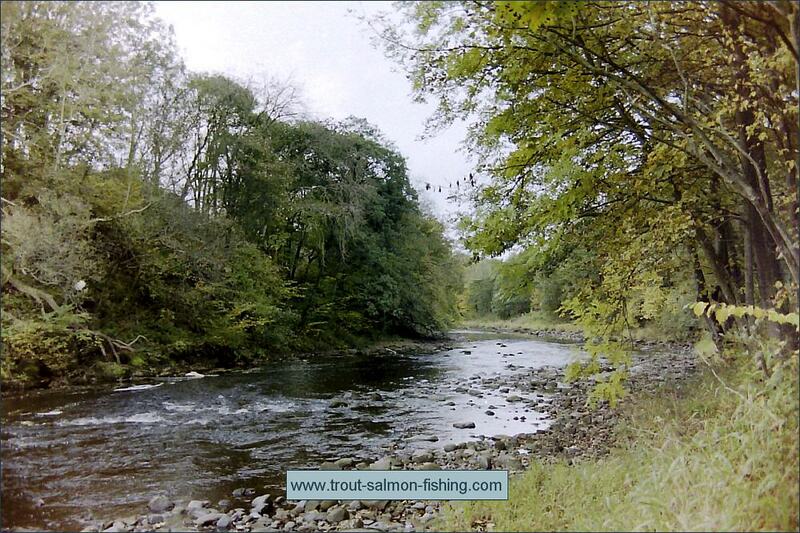 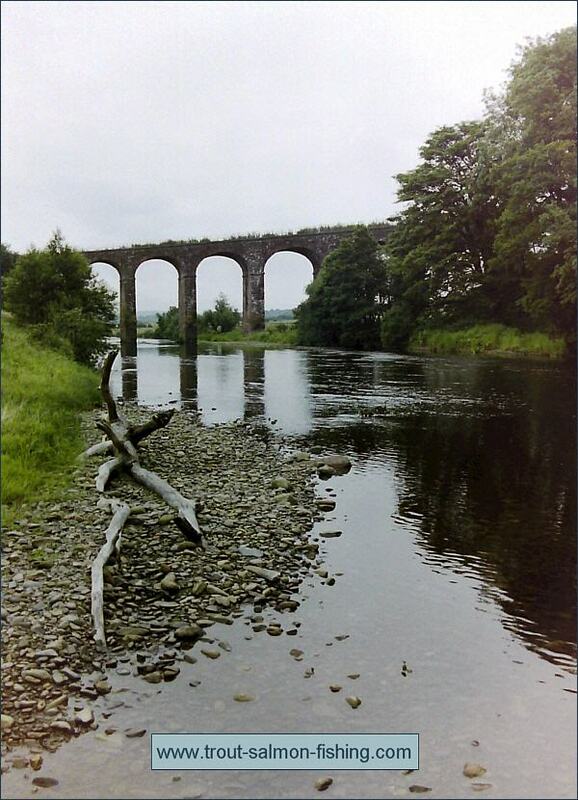 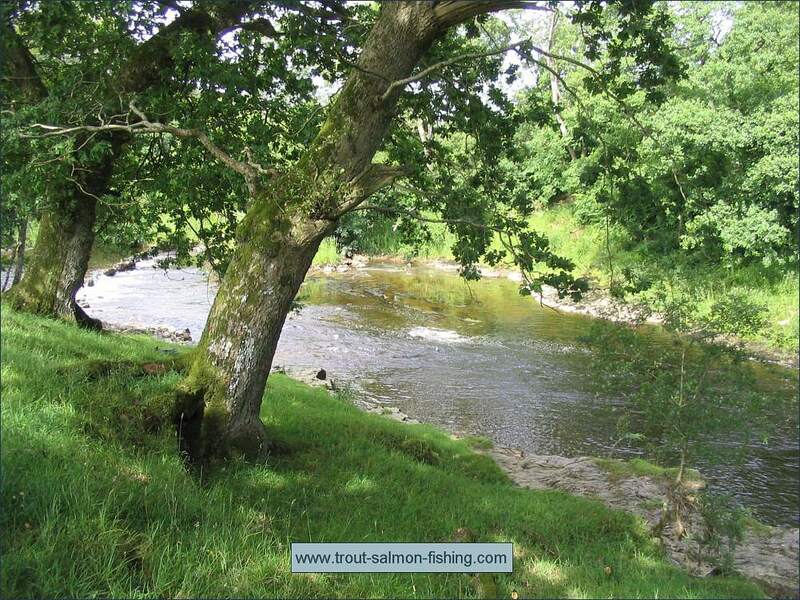 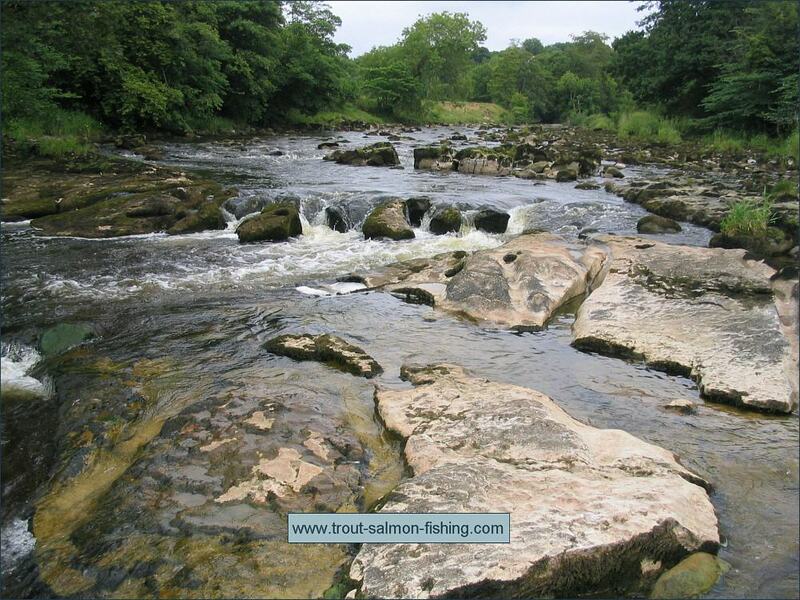 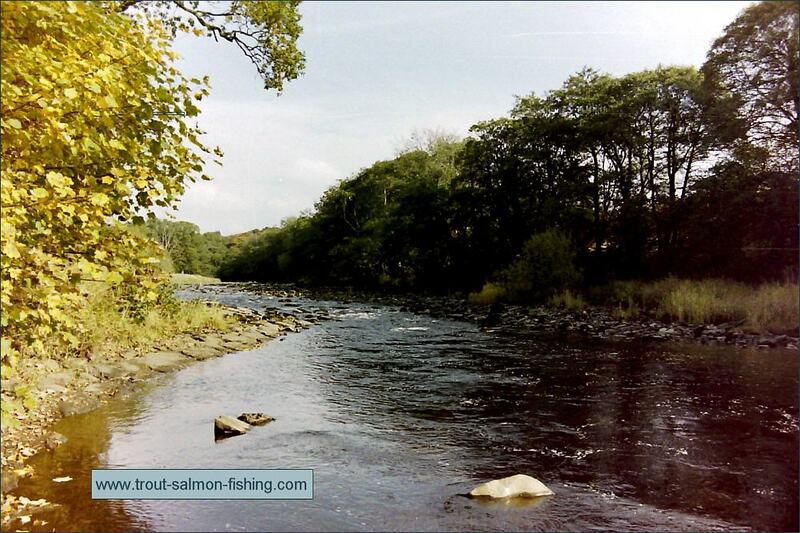 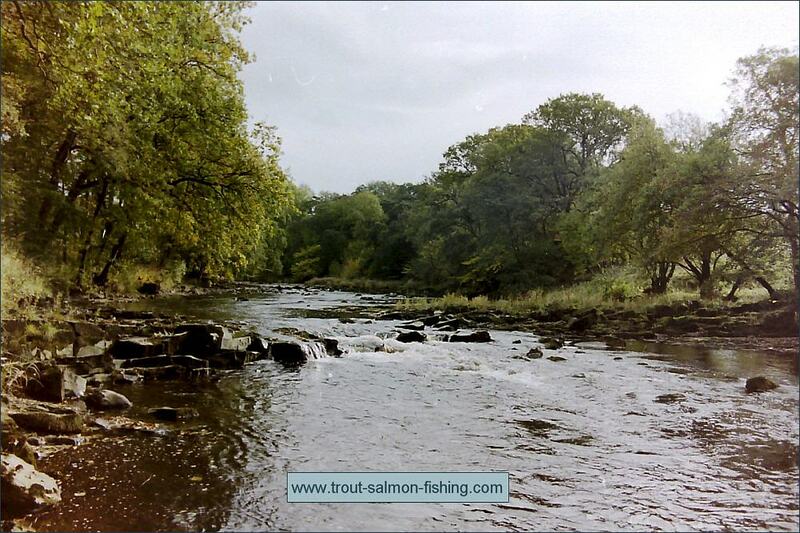 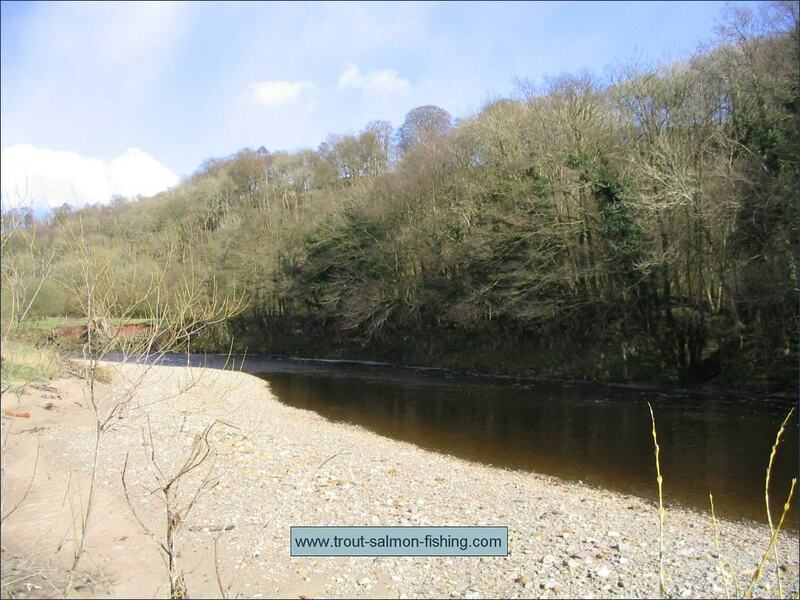 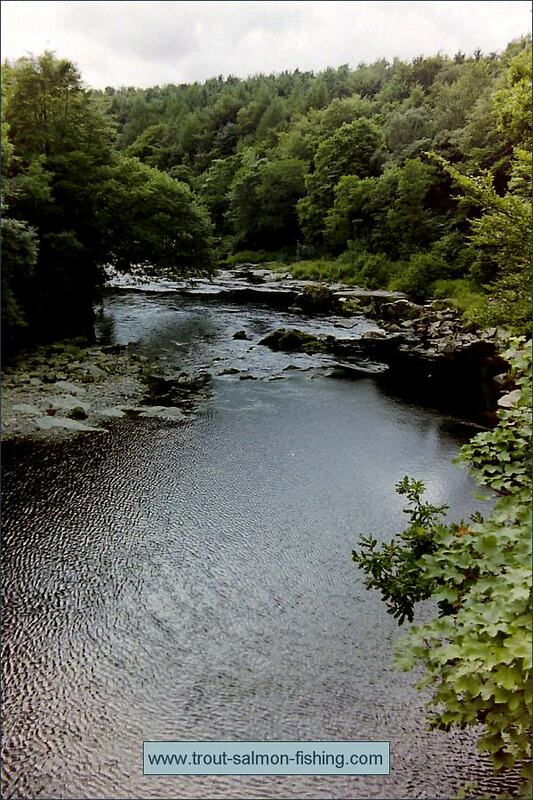 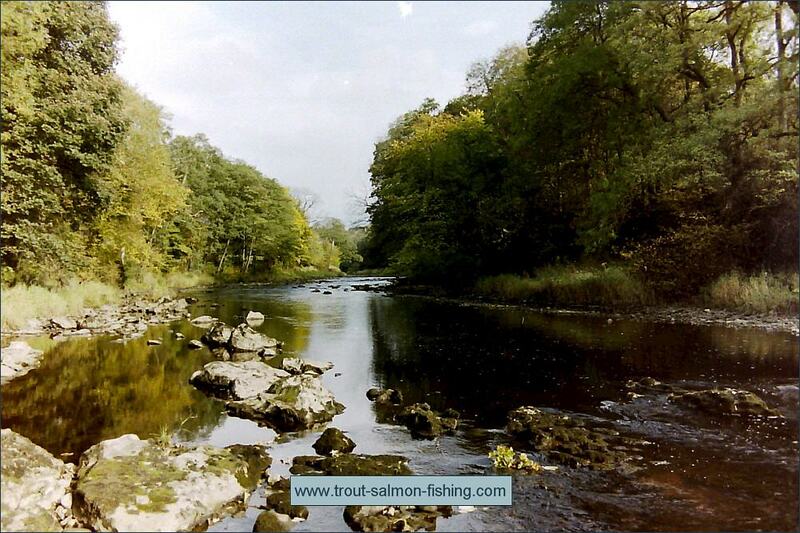 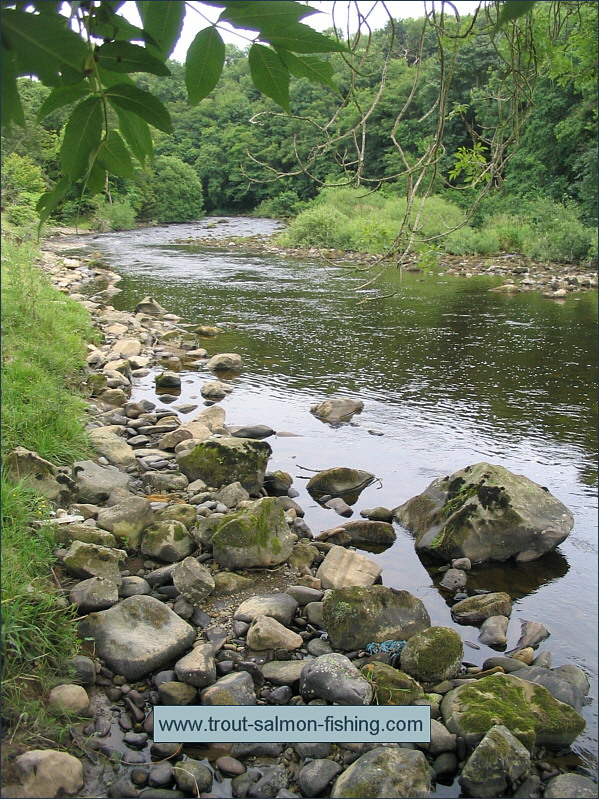 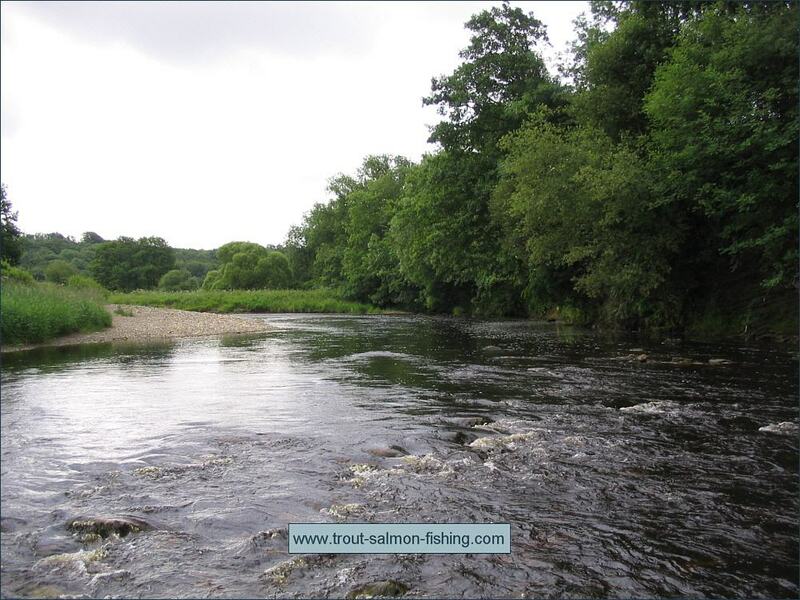 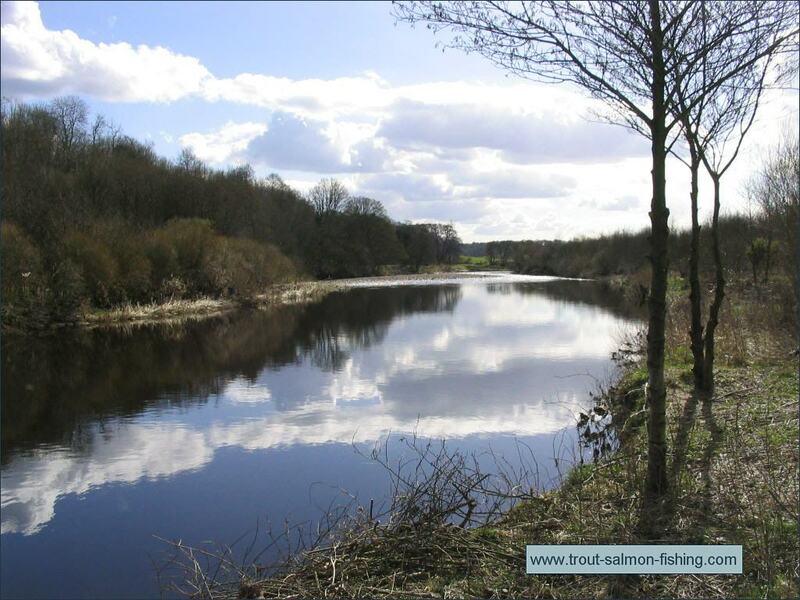 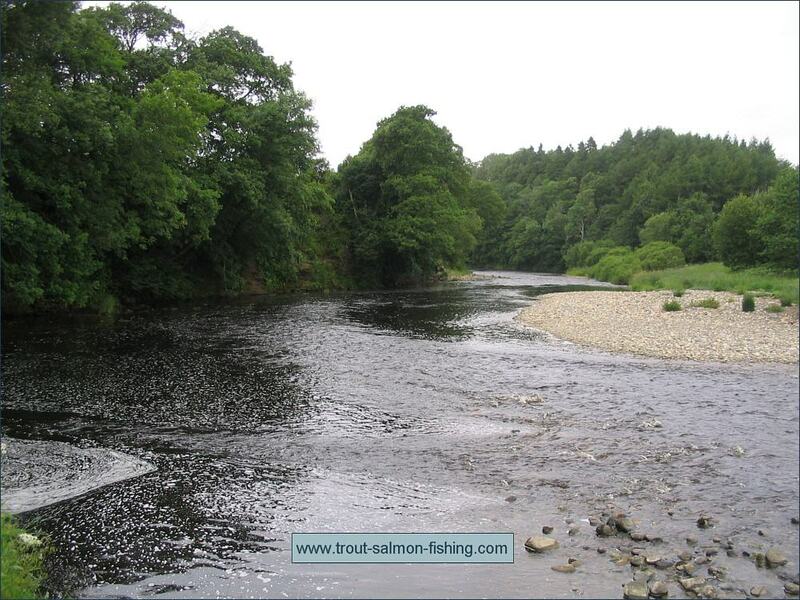 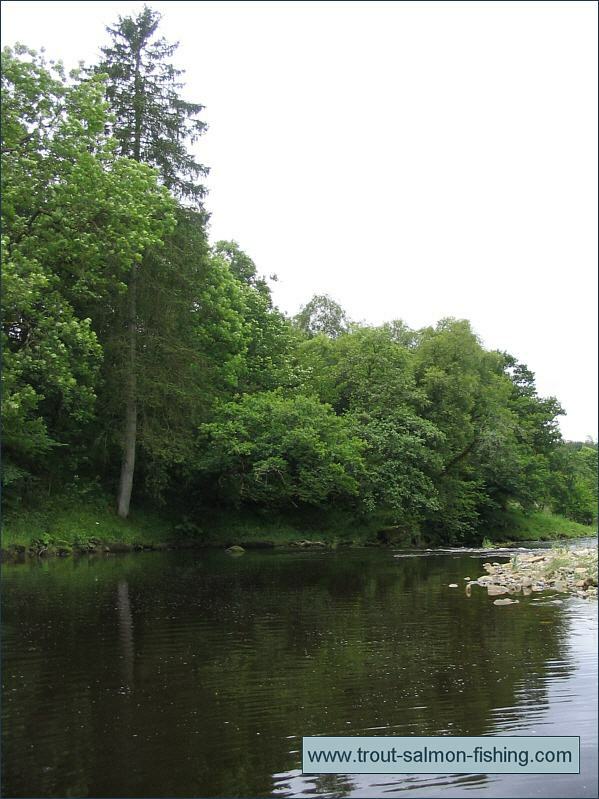 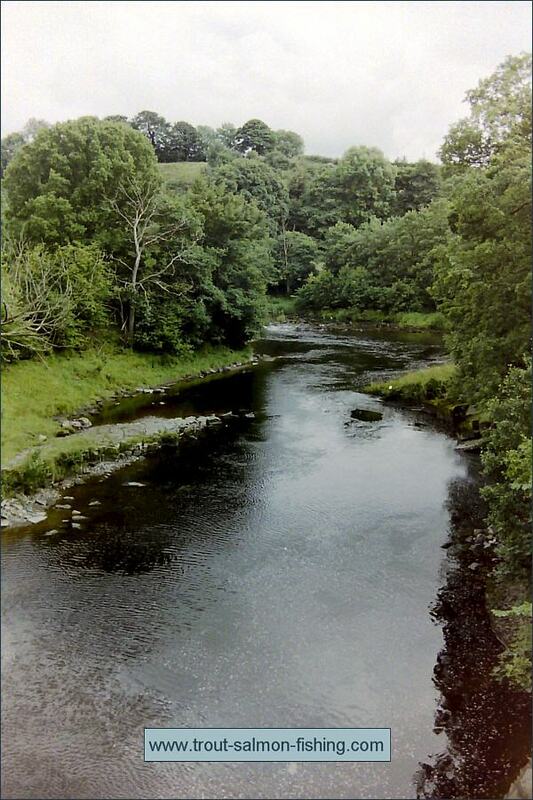 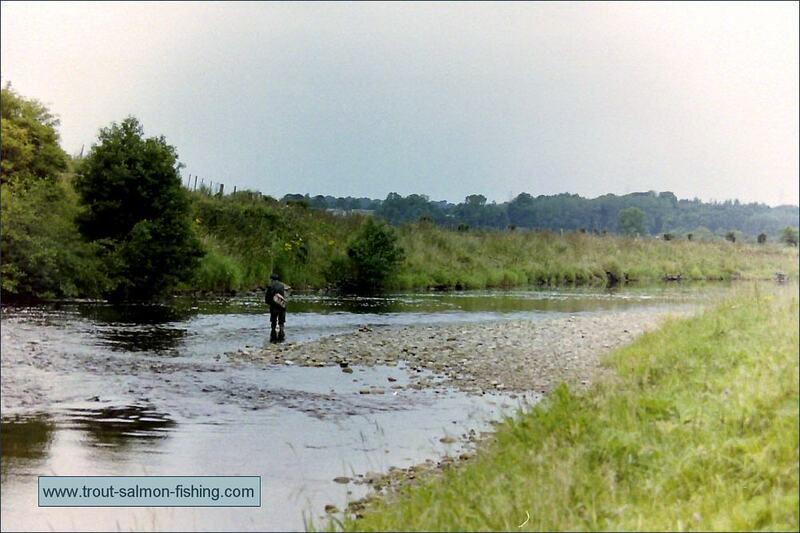 Best known for its sea trout, the River Liddle also has a decent run of salmon in the second half of the season. 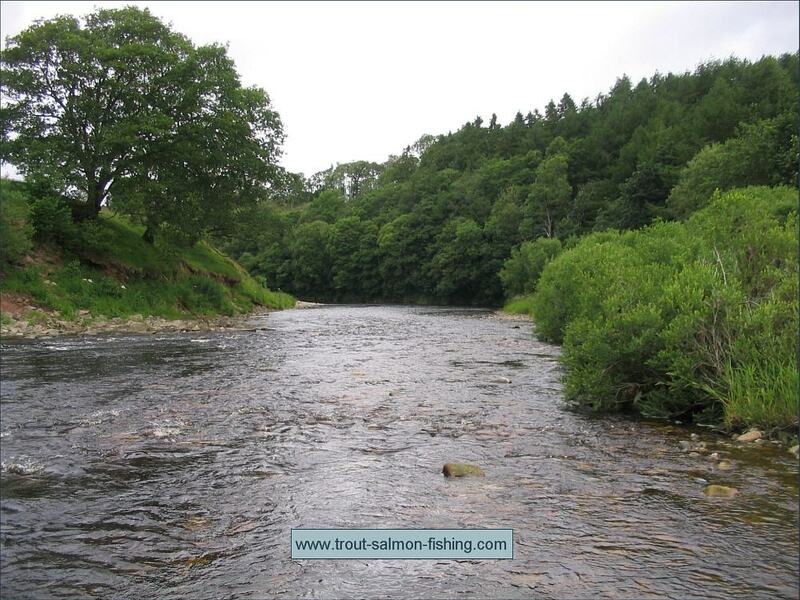 The Esk and Liddle Fisheries beats include some of the best fly fishing water on the middle Esk and the middle and lower Liddle. 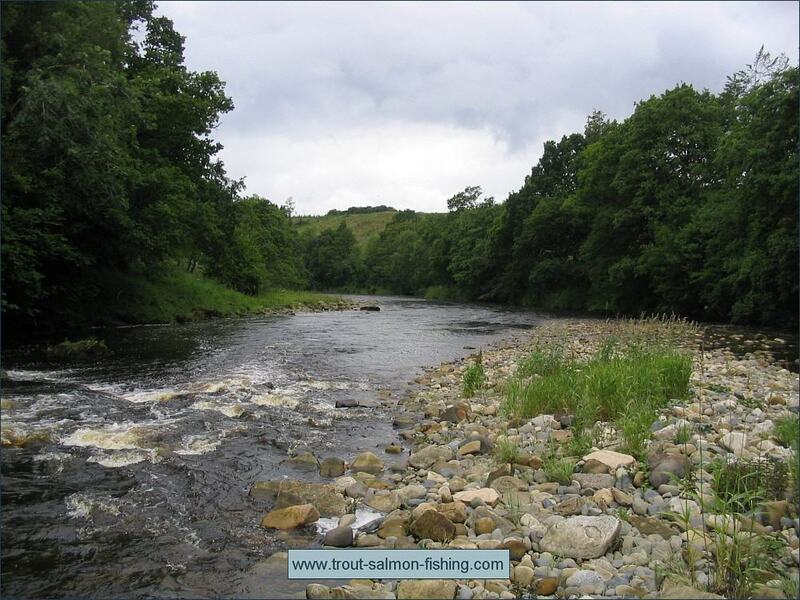 At one time the Esk and Liddle fishery beats might produce around 5000 sea trout in a season, many of them taken on the night fly during the short summer nights of June and July, with the added bonus, towards the end of the season, of up to 500 salmon. 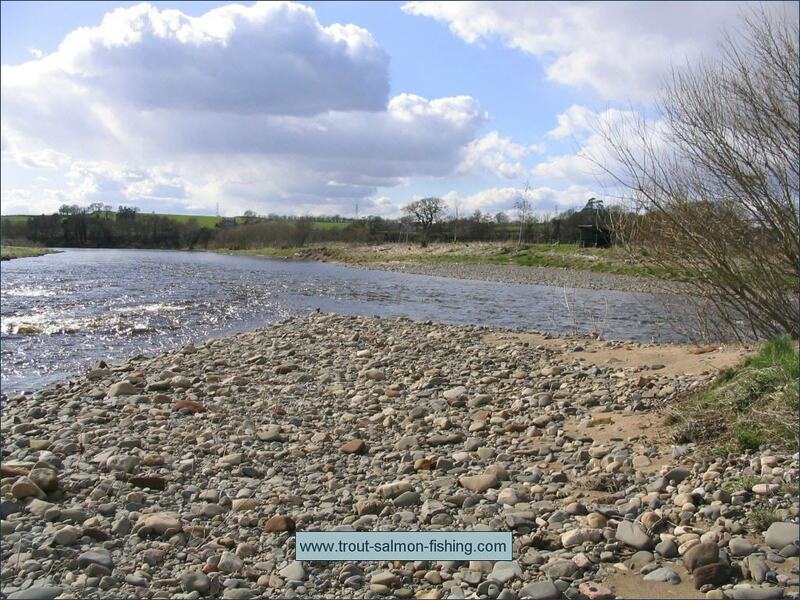 For reasons that are not clear, catches of sea trout on the Esk and Liddle, like those of other Solway rivers, have declined in recent seasons, with the Buccleuch Estate beats now producing somewhere between 500 and 1000 sea trout per season and around 200 salmon. 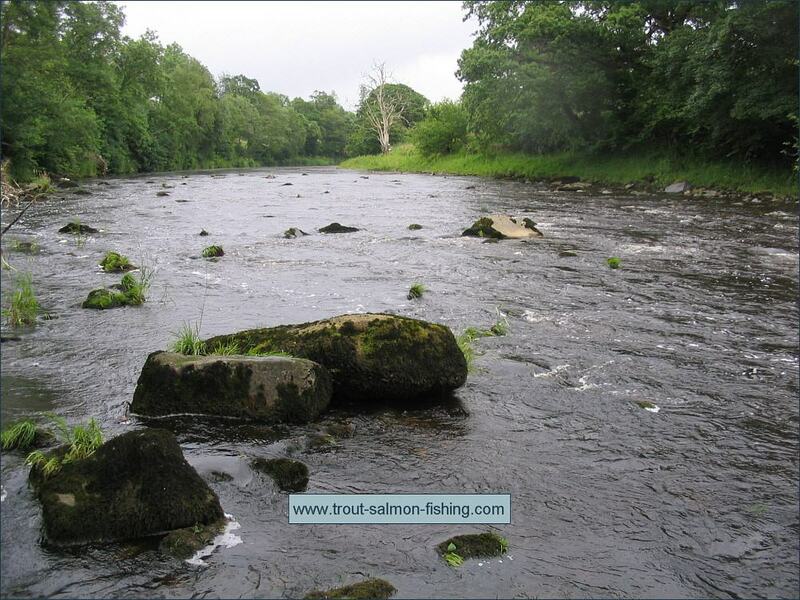 Given the right conditions, though, June and July can still provide some excellent night fishing. 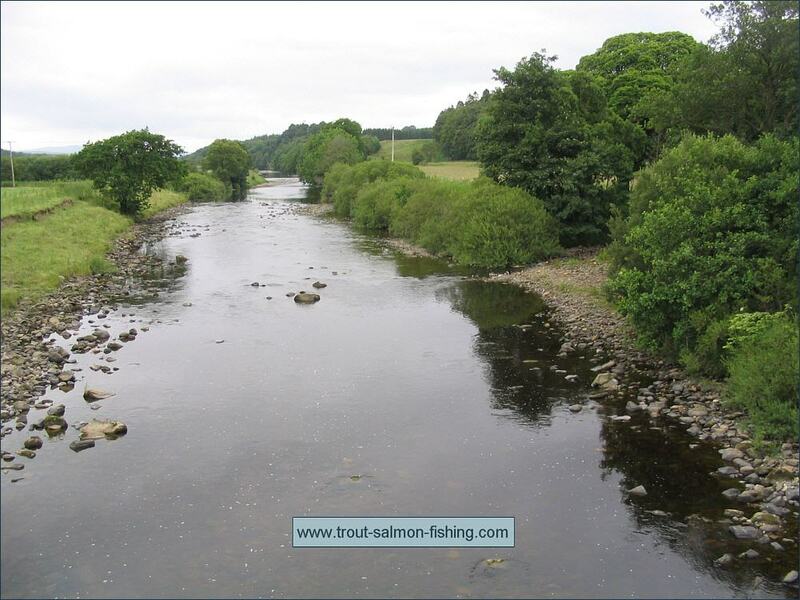 See Border Esk & Liddle Fishing for more information.